Our pergolas are hand made in our work shop. 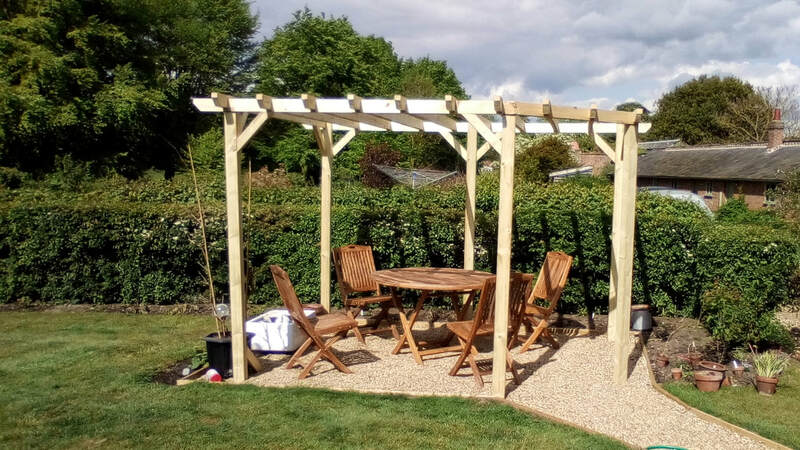 As with all our products, our pergolas are built to the highest standards and offer great value for money. They are perfect for decking and patio areas, path ways, entrances, and will compliment any area of a garden and introduce a great focal point. 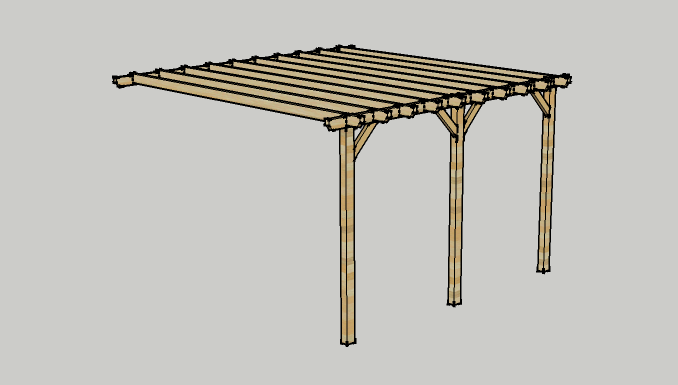 Our lean to pergolas are perfect to set off a patio. The frame joints are all fully notched to slot together with the posts machined to hold the frame. Built using 100mm by 47mm timbers on the roof frame and 100mm by 75mm posts which are corner braced. This is a very strong structure. ​The beams are at 30cm intervals unlike others which are spaced wider. This gives a better look and strength to the structure. The posts are fitted with iron rods at the bottom which simply push into the ground, so you don't see any ugly brackets, or can be concreted. All the timber is treated. 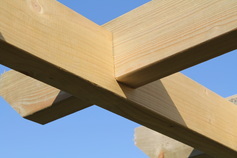 One set of cross beams. ​If we don't have a size you want just contact us with your requirements.